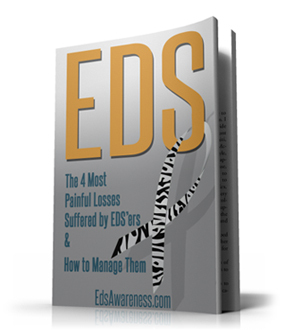 Many of those with Ehlers-Danlos are having a difficult time getting diagnosed. RARE DISEASE SUFFERERS say it is like banging their heads “against a brick wall” trying to get specialist treatment in Ireland – and that some doctors have thought they were making their symptoms up. TheJournal.ie spoke to three women who have Ehlers Danlos Syndrome (EDS) a rare, lifelong progressive disease. Two of the women are a mother and daughter, while the third woman was told she was a hypochondriac before she was diagnosed. EDS is an inherited connective tissue disorder, and it has a number of different types, each of which have different symptoms. In the family we spoke to, the mother and daughter are affected in different ways and the daughter has more serious symptoms, including postural orthostatic tachycardia syndrome, which can make her pass out when she stands up. EDS has affected her immune system by attacking her bone marrow, and she has had meningitis, septicaemia, e coli and numerous life-threatening bacterial infections and viruses. She said she needs to go to the UK for treatment to determine if she has Lupus or a mast cell condition so that she can receive further treatment. 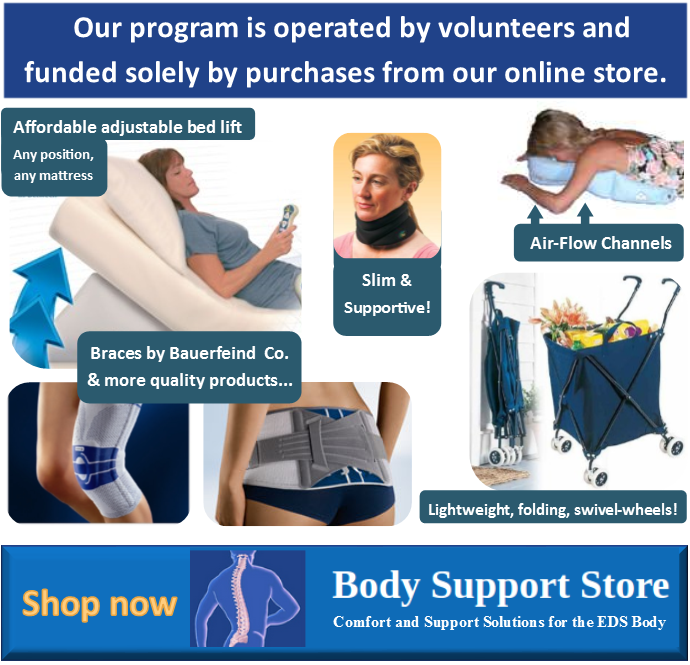 The family want to raise attention to the fact that EDS is not just about hypermobile joints – it can involve joint pain, muscle weakness, chronic pain, dislocation and infections. This young woman was in her teens before she was diagnosed in the UK over a decade ago, after years of repeated fractures and dislocated joints. “Doctors seem to think it’s in your head,” said her mother of EDS symptoms. She went in a wheelchair to the UK and came home walking after five weeks of treatment. With EDS, “you need a full medical and multi-disciplinary team” who know how to manage the condition, said the young woman’s mother. She said the connection hasn’t been made by Irish medical professionals yet between the multitude of conditions that people with EDS can have. Her daughter deals with various health professionals but “none talk to the other or coordinate her care”. They have been told that “unless you’ve a specialist here in EDS to say you need to have a specialist in the UK”, they won’t be funded for treatment abroad. There is no EDS specialist in Ireland, they say. It is a “catch 22″ situation, said the mother. They are now looking into fundraising to help them travel abroad, as they believe they are unlikely to get HSE or VHI funding. Even though at one end the expert care you need is over there [abroad], at the same time the VHI and the treatment abroad scheme are basically blocking it at very turn. Though she is working, she sometimes feels that she would be better off unemployed as she has lost her medical card. She was given it on discretionary grounds, even though her health has deteriorated in the meantime. They’re taking it off people who really don’t have a voice. People who are so sick they are not in a position to fight it. She said that in her experience, not every doctor knows about the condition, and if they do they don’t understand the debilitating affects. There’s days when my partner has to be carrying me around the house, which is a humiliating experience for any person to deal with. She said that EDS sufferers want doctors to be educated about EDS, they want treatment here in Ireland for it, and they want the proper services here for them. “I really feel like they’re telling me my health is completely deteriorating and it’s completely serious and yet it’s being left,” she said. “Is there going to be a fatality among us of someone dying from that before it is taken seriously?” she asked. It’s an “invisible illness”, she said. “You don’t get the same sympathy as you would from people.” Some times, sufferers have a “blaze of energy” and other days are in a wheelchair, leading to people looking at them “like they’re a fraud”. Yvonne Evans-Nevin (27) is a health journalist for the Cork Independent who discovered she had EDS after interviewing a woman in 2012 with the syndrome. After recognising some of the symptoms the woman had, she realised she might have EDS too. “I’d gone for every single blood test, and x-rays and nobody could explain why I was feeling pain. The doctor said ‘you’re depressed, it’s all in your head’”. After fainting at home in 2013, she went to a doctor in Cork at was diagnosed with EDS. She now works with the EDS support group, EDSAI, and has realised that her story is not an uncommon one. 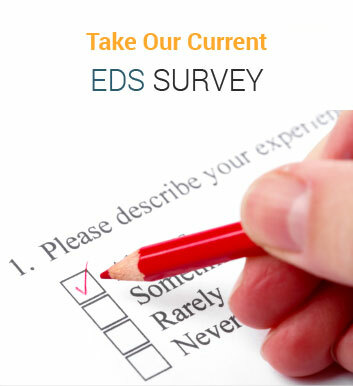 Even those in Ireland have problems getting diagnosed and treated for Ehlers-Danlos Syndrome.